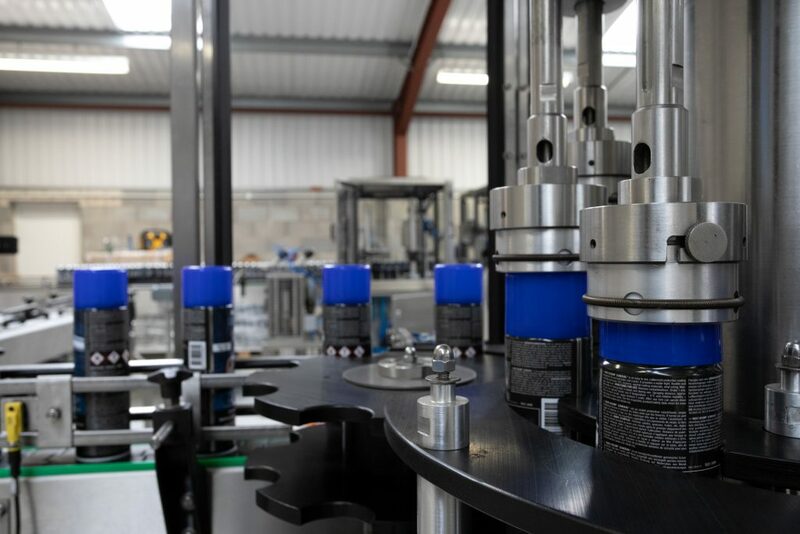 Our Automatic Aerosol Production Machines can perform a variety of functions upon a range of standard aerosol containers, with single machine speeds of up to 80 containers per minute. For speeds of up to 160 containers per minute, two Machines can be installed opposite each other on a specially configured twin-track conveyor, with a separator and combiner system either end. For a high-speed line, this twin-track configuration can be continued through a series of Machines to reduce the overall length of the production line. 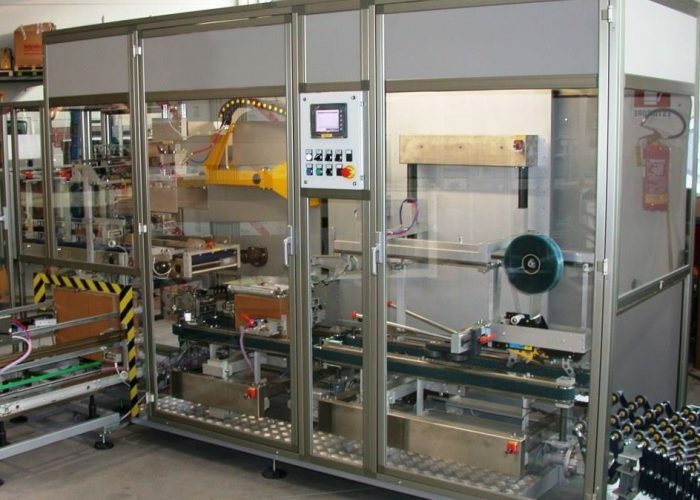 Our Production Machines are flexible, have a small footprint, and can be integrated into an existing line or installed as part of a brand new line sourced completely from R&R. Individual Machines come with their own Control Panel and PLC / HMI system. Machines bought as part of a ‘suite’ or complete line may have their control systems integrated into a single Line Control Panel, with HMI interfaces on each Machine. The Control Panel and/or HMI panel is normally constructed for location in a ‘Safe’ area. Alternatively, they can be constructed to ATEX Zone II/2G regulations (classification Zone 1).